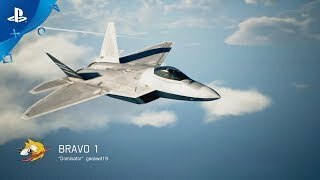 Now, with ACE COMBAT 7: Skies Unknown’s multiplayer mode, players can enter dogfights with their friends and coordinate battle strategy to take out opposing players. Check out the variety of aircraft customization options! The legendary arcade flight series returns with beautiful new visuals on PS4. 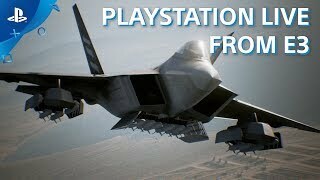 Recorded live at E3 2017.
Who has never dreamed of being a pilot? 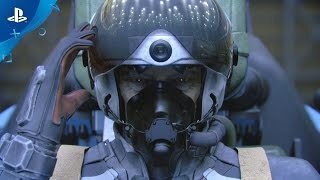 PlayStation VR puts you directly into the cockpit of your favorite aircraft where the dogfights will be taken to the next level of immersion. 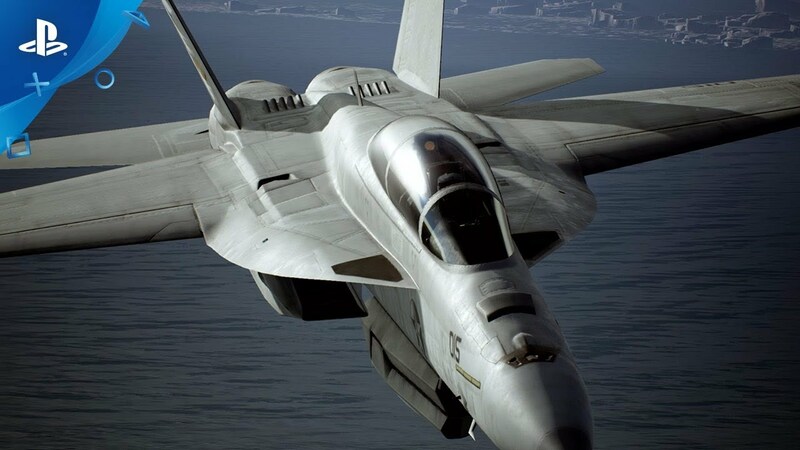 Climb into the cockpit of one of the most advanced war planes ever created and experience the most intense Ace Combat experience ever created. 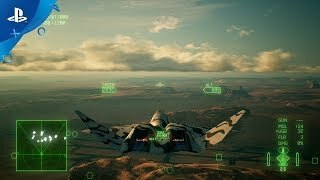 Ace Combat 7: Skies Unknown will take players into the cockpit of an advanced fighter jet and prepare them to face realistic flight combat in various VR missions. Escape from enemy attack and take off into the wide open skies and experience the ever changing weather dynamic while battling for air dominance. On top of battling in the skies in VR, check out additional bonus VR content. Air Show allows you to watch a spectacular air show from any angle with a 360 degree view from an aircraft carrier. 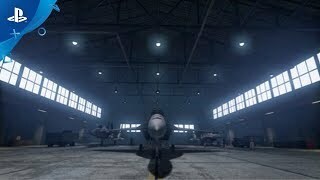 Admire these steel birds up close and personal in VR Hangar mode where you can view the fine detail of these jets from every angle as well as in the cockpit. 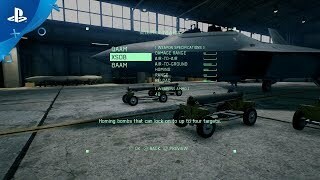 Ace Combat™ 7: Skies Unknown Deluxe Edition includes the full Ace Combat™ 7: Skies Unknown game, 6 additional content packs eligible to the Season Pass, and 8 emblems. © BANDAI NAMCO Entertainment Inc. ©2004-2015 EPIC GAMES, INC. All Rights Reserved. Unreal, the circle-U logo and the Powered by Unreal Technology logo are trademarks or registered trademarks of Epic Games, Inc. in the United States and elsewhere. trueSKY™ Copyright © 2015 Simul Software Ltd. All trademarks and copyrights associated with the manufacturers, aircraft, models, trade names, brands and visual images depicted in this game are the property of their respective owners, and used with such permission.